Spring is Here! 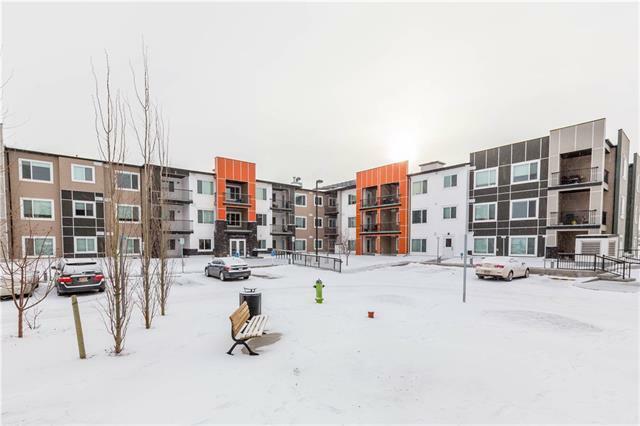 Enjoy the beautiful, high-end, no maintenance condo in the amazing community of Sage Hill. Enjoy a bbq as you sit on the west facing patio and bask in the evening sun and grown your own amazing garden on your large patio! This TOP floor 2 bedroom 2 bath condo is better than NEW! 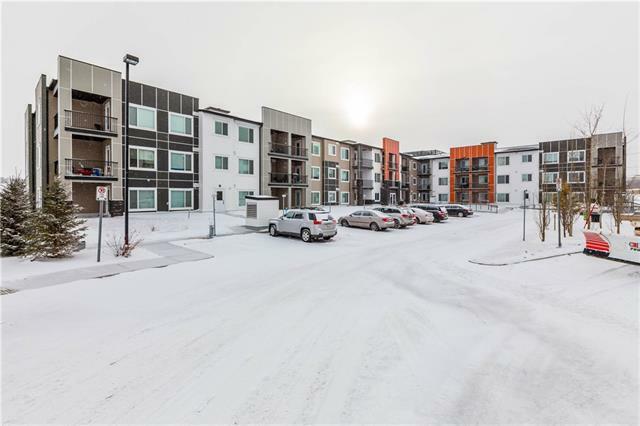 Featuring 9' ceilings, high-end laminate flooring throughout, upgraded quartz counter tops, upgraded backsplash and cabinets, and beautiful stainless steel appliances! 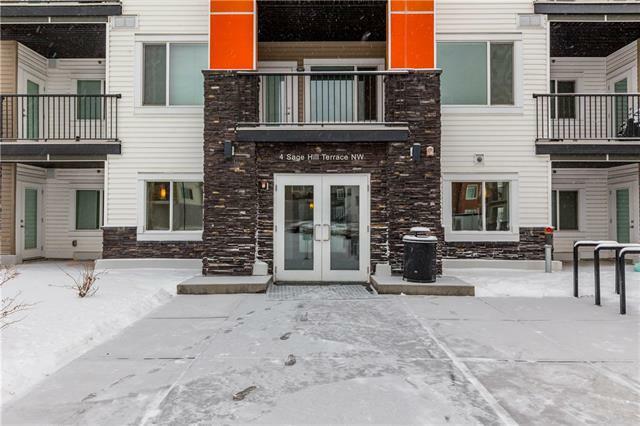 Condo includes titled underground heated parking, is pet-friendly, and in-slab floor heating! You'll love the open floor concept and the perfect bedroom setup, separated by the living space. Don't forget your den space (currently being used as storage room), to setup your office! Just 45 minutes to the mountains, close to walking paths, creeks, and dog parks. 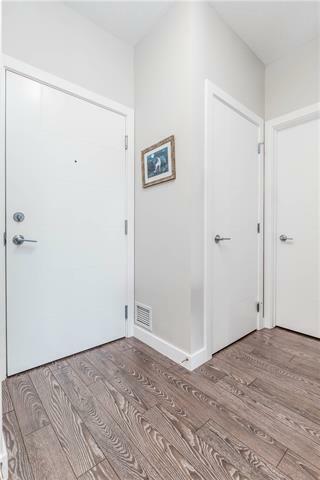 Close to transit, shops, schools, Stoney and Beddington Trail and only 15 minutes to downtown! Condo fees include all utilities except electricity. Call today for your private showing! Listing provided courtesy of Re/Max Complete Realty. © 2019 CREB®. All Rights Reserved. Data supplied by CREB®’s MLS® System. CREB® is the owner of the copyright in its MLS® System. The Listing data is deemed reliable but is not guaranteed accurate by CREB®. The information provided is for consumers’ personal, non-commercial use and may not be used for any purpose other than to identify prospective properties consumers may be interested in purchasing. The trademarks MLS®, Multiple Listing Service® and the associated logos are owned by The Canadian Real Estate Association (CREA) and identify the quality of services provided by real estate professionals who are members of CREA. Used under license. The trademarks REALTOR®, REALTORS®, and the REALTOR® logo are controlled by The Canadian Real Estate Association (CREA) and identify real estate professionals who are members of CREA. Used under license. Data last updated: 2019-04-19T17:29:32.997.